I have recently been introduced to avocados. I've always enjoyed guacamole at a restaurant but never thought to try making it myself. About a year ago, I was looking at changing my eating habits and always heard avocados had alot of benefits. Once I tried one I was hooked. Then I found it is not only good to eat but is also great for skin and hair as well. I personally like scooping it right out its shell and eating it. I love having a plain old mashed up avocado face mask. It is so refreshing for eating and beauty uses. Bad breath can have many causes but if your morning mouth is a result of a deficiency in your good intestinal flora, avocados can be the remedy! It cleanses the intestine, and serves as a natural mouthwash. This rich and creamy fruit is filled with healthy fats and phytonutrients which offer impressive benefits for the skin. 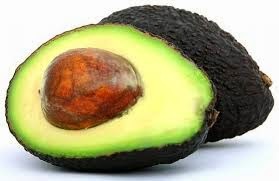 Avocado contains vitamin E which has the ability to remedy scars and acne. Vitamin E also speeds up cell regeneration, making it a good natural anti-ageing product, it also helps booting the immunity of skin against stress and other environmental hazards. Whether you eat it or smear it on your face, avocado oil can have a "fruitful" effect on your skin. Avocado is an excellent source of the carotenoid lutein, which protects against macular degeneration and the formation of cataracts. The carotenoids and lutein found in avocados have the ability to stop the growth of prostate and breast cancer. The oleic acid content can also lower your cancer risk. While avocados are high in fat, these fats are good for you, as they assist in heart health and help to lower blood pressure. The vitamin B6 and folic acid content in avocado is also good for the heart. Avocado is an excellent natural way to nourish and stock up your body without any abrasive chemicals. Essential and extra virgin avocado oil has long been used in beauty products such as hair conditioners, moisturizers, cleanses and facials etc. This is all because they are a rich source of several essential nutrients that relive and moisturize your skin. Avocados are filled with vitamin A which helps purging off any dead skin cells. The glutamine amino acid present in avocados cleanses your skin and offers it enough protection against harsh environmental factors. The antioxidants in avocados detoxify your body removing all the toxins that tend to lead your skin to age prematurely. It also helps eliminating the wrinkles giving your skin a youthful glow. Avocado has great benefits for hair, avocado oil helps rejuvenating and moisturizing the scalp. One can use avocado oil for hair in many ways as it’s an exceptional treatment for revitalizing dry, damaged, lifeless hair. It deep conditions your locks and scalp and hence leave them looking lustrous and full of life. Being a rich source of proteins, amino acids and vitamins, avocado oil also helps promoting the growth of healthier tresses. When it comes to skin, the benefits of avocado oil are just countless. Skincare products containing avocado oil are excellent for dry, parched skin. Avocado oil’s wonderful moisture retaining abilities make it an excellent moisturizer for dehydrated skin type. It deep moisturizes your skin and nourishes it from inside out. Avocado oil is a natural sunscreen that keeps harmful UV rays from wreaking havoc on your skin. It is also an excellent treatment to cure sunburns. Create beauty treatments with Avocado. Avocado provides great hair treatment in combination with egg yolk, olive oil and yogurt. It nourishes you hair and moisturizes it from inside out, leaving it rejuvenated and well-revitalized. To prepare the treatment, mash the avocado and then add some olive oil, yogurt and egg yolk. Stir well to get a consistent paste and work it over your strands evenly, covering them with plastic wrap. Let the mixture sit in your hair for almost half an hour and then rinse thoroughly with a mild shampoo. 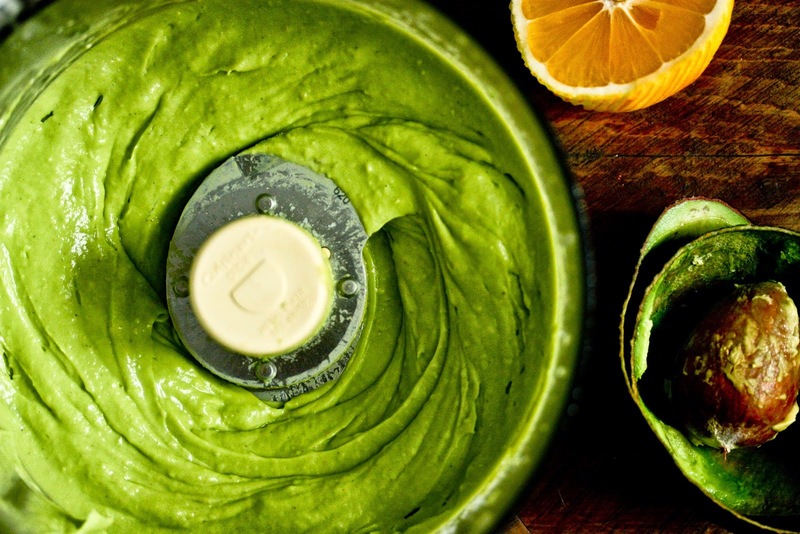 To create avocado body butter, take one fully ripe avocado and mash it up in a small bowl. Apply the paste onto your skin, paying attention to rough skin areas like knees, heels and elbows. Let the butter work it’s magic over your skin for almost half an hour and then wash off with cool water. This recipe cleanses the skin pores and frees your skin from any dirt, grime, excess oil and other impurities. While a variety of such cleansers are available in market, you can also prepare your own at home. For making an avocado facial cleanser, you’ll be in need of one egg yolk, half cup milk and half avocado. First beat the egg until it is frothy and then add mashed avocado and milk. Stir the concoction to get a lotion-like consistency. Use the mixture then to cleanse your face regularly. It removes harmful toxins from your skin and leaves it looking younger and radiant. This blend makes use of lemon for scent; oats helps quick and easy absorption of avocado oil and provides gentle exfoliation making your hands soft and smooth. To get the treatment, simply take some mashed avocado in a bowl and add egg white, oats and a small amount of lime juice. Stir the mixture well and massage your hands with the paste. Leave on for 20-25 minutes and wash hands with warm water. Avocado mask for oily skin involves the use of lemon, egg white and ripe avocado. Lemon acts as a natural astringent and controls the production of oil by the skin; egg white strengthens and nourishes skin. Avocado oil balances the mixture. To prepare the mask you need to combine avocado, egg white and lemon juice in a blender and whirl until you get a smooth paste. Use the mask onto your skin for twenty minutes and rinse with warm water. The moisturizing avocado oils join forces with a natural antiseptic agent (honey) and (yogurt) to gently cleanse, eliminate redness and soften the skin while firming and refining skin pores. Take two fully ripe avocados and mash. Add yogurt and honey and stir well. Apply the paste over your face and leave it on for almost fifteen minutes. Rinse with water. Avocado moisturizing eye mask is best at relieving eye dehydration and irritation. Preparation of mask doesn’t involve any intricate steps, just mash up an avocado and combine it with aloe vera gel. Stir well and spread evenly on pre cleansed under eye skin. Let it sit for ten minutes and then wipe away, splash water over your face.